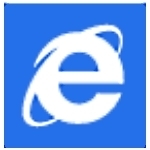 With the release of Windows 8 comes a new version of everyone’s least favorite browser: Internet Explorer 10. A lot of people, including me, were rather quick to ignore this new browser and quickly install our favorite third-party equivalent, which usually is either Firefox or Google Chrome. This negative attitude towards anything that has to do with Internet Explorer has come from user concerns about security and a lack of configurability. To say the least, this has formed a prejudice that prevents people from trying out the latest version of the browser. That said, IE 10 has some promising features that could entice some people who have previously discontinued its use. Until recently, Google Chrome has been the most pristine browser in terms of screen “real estate.” This means that most of the screen is taken up by the websites you’re browsing rather than elements in the browser window. The only things that Chrome left behind were things you will actually use, such as the address bar, close/minimize/maximize buttons, plugin buttons, and tabs. They’re all laid out neatly in a space that’s only tens of pixels high. While all this is elegant, nothing beats IE 10′s full-screen browser. Its real estate is immense, capturing the entire screen. Nothing really beats that. maketecheasier.com IE 10, internet explorer. permalink.